The peaks of Grand Teton National Park aren't the highest in the world, but they sit atop what might be nature's archetypes for mountains. Unlike most mountain ranges, the Tetons lack foothills, so the jagged peaks shoot straight out of the high plateau of western Wyoming, delivering tremendous vertical reliefs and unobstructed views of perfectly pointy peaks. Beyond offering frame-filling shots for landscape photographers, the park thrills outdoor enthusiasts with 320 km (200 mi) of trails for hiking, biking, and cross-country skiing. It also boasts numerous rock-climbing routes and waterways teeming with trout. Birders peer through binoculars at bald eagles and osprey here, while wildlife-watchers look for elk, moose, bison, grizzly bears, and mountain lions. While most visitors come in summer, the heavy snow of winter provides a different and equally captivating perspective. Grand Teton National Park is in Wyoming (WY). 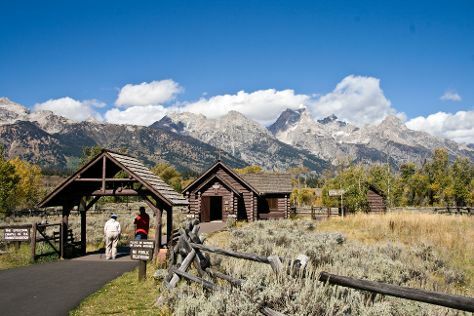 Add Grand Teton National Park and other destinations in United States to your travel itinerary using our United States trip itinerary planner.